"Realm" is an online tool and mobile app to help Covenant Partners (aka members) and regular attenders connect more deeply to the mission of Westminster Presbyterian Church. It is designed around the many groups that make up our church: Community Groups, Ministry Teams, Service Groups, etc. 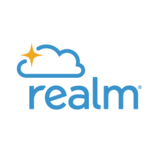 Realm will be a very helpful tool as we strive together to be a community on a mission. Are you using the latest browser? Go to whatbrowser.org to find out. NOTE that Microsoft Internet Explorer is not supported and will not work. For mobile users, using "Connect - Our Church Community" on your Apple/Android device will provide you notifications and ways to connect on-the-go!